Official Marvel’s Avengers: Age of Ultron trailer 3 – assembling in Philippines' cinemas Wednesday 22 April. When Tony Stark jumpstarts a dormant peacekeeping program, things go awry and Earth’s Mightiest Heroes, including Iron Man, Captain America, Thor, The Incredible Hulk, Black Widow and Hawkeye, are put to the ultimate test as they battle to save the planet from destruction at the hands of the villainous Ultron. 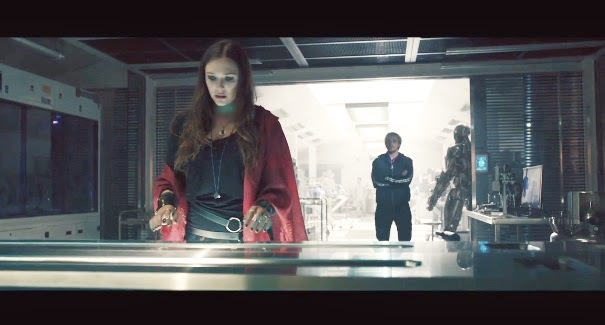 In the video, director Joss Whedon explains the Twins’ role in the film, and how they’ll complicate the Earth’s Mightiest Heroes’ mission to save the world.”Im introducing massively important characters with The Scarlett Witch and Quicksilver,” Whedon says. Actors Elizabeth Olsen (Scarlet Witch) and Aaron Taylor-Johnson (Quicksilver) also share their thoughts on the new characters, describing their motivations and goals.